Iron, of all the metallic elements on earth is the most widely used. It is used in the manufacture of simple home appliances and cutlery and more complex industrial machinery and equipment such as vehicles, buildings and heavy machinery. It is because of this prevalent use of iron and iron products such as steel that iron recycling has become common. 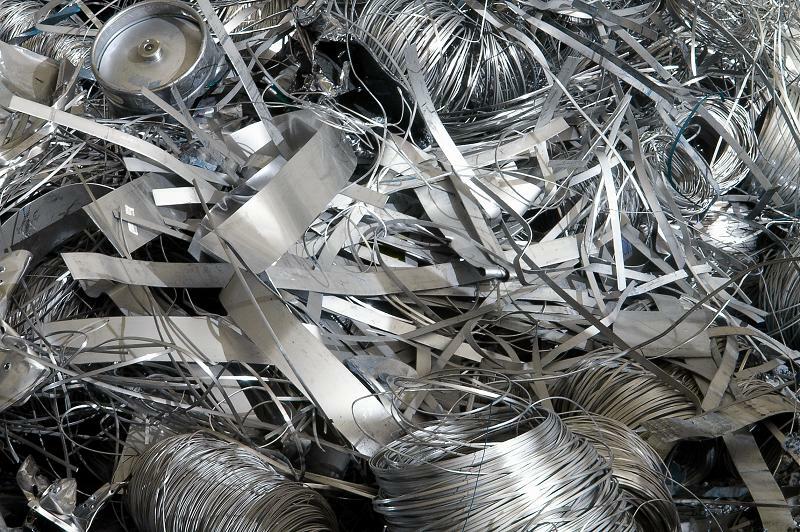 Iron is the most recycled metal on earth, coming just before aluminum. Almost every able country has at least one plant dealing with iron recycling. One of the most admired qualities of iron and its products is the fact that its quality hardly degrades despite the number of times that it will undergo refining, from one form to the next. Many iron and steel products remain in service as durable products for decades after production and demand for iron still remains on the upward trend. Energy saving – the process of mining iron, from excavation to transportation and then eventually extracting iron from its ore to produce virgin metal consumes a lot of energy. Furthermore, majority of iron cannot be used as it is and must therefore be converted to other useful and more durable products such as steel. All these processes consume way too much energy as compared to recycling iron. Research holds that recycling consumes around 56% less energy than original virgin production of iron and steel products. Environmental conservation – a reduction of iron mining will see a great reduction in the destruction of our natural reserves and the whole environment as a whole. We won’t have to dig up quarries that would later on have to be filled and the level of carbon dioxide emissions going into the air will also be cut down significantly. High levels of Carbon dioxide and other greenhouse gases in the air destroy the ozone layer which acts to protect us from the dangerous rays of the sun and heat. This is just the tip of the iceberg. There are landfills with iron elements in the earth’s crust that are continuously growing. Employment opportunities – a lot of jobs are generated from recycling processes, all the way from scrap metal collection to junk yard operations and at the recycling plant itself. There are numerous opportunities for employment from office operations to factory management. National Financial Gross Costs – the other overlooked metric is the amount of money that the government and companies running iron mines and iron product companies spend in the production of virgin iron. Refining uses a fraction of energy that is used in production of new iron. Financially speaking, this will translate to huge financial gains if these amounts were instead invested in recycling. We cannot completely write off the value of virgin iron because it is still required to take care of rising demand world over. There are several sources of scrap for recycling plants but among the most common are old car frames, cast iron bars such as pipes and engine components, remains of drilling and shaping, pressed steel such as roofing iron and old rail tracks.